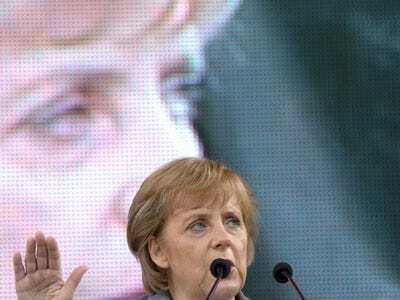 Greek Prime Minister George Papandreou is set to meet with Chancellor Angela Merkel in Berlin on Friday. But the Germans are making it very clear that the meeting won’t produce an aid package.Today a spokesman for the governent said that Germany welcomed Greece’s new austerity plan but also added that the point of austerity was restoring market confidence not securing a bailout. The Germans still seem to be going in the opposite direction. German Chancellor Angela Merkel held an extraordinary meeting with top level ministers to discuss the Greek debt crisis, according to national media Wednesday. Dailies Bild and Handelsblatt reported Merkel held late evening talks on Tuesday with Foreign Minister Guido Westerwelle, Economy Minister Rainer Bruederle and Deputy Finance Minister Joerg Asmussen. A spokesman for the chancellery wouldn’t deny or confirm the meeting took place, saying details might be announced at a regular government press conference later in the day. He was speaking on condition of anonymity in line with government policy. Meanwhile, in an open letter to appear in the Stern weekly, Greece’s parliamentary president Philippos Petsalnikos urged Germans for some empathy for his nation, which has taken drastic measures to cut spending in an effort to lift it from a financial crisis that has been felt by its European partners using the euro. “It is not your money, but your solidarity and your understanding that Greece needs to defend itself against attacks from international speculators,” Petsalnikos wrote in comments released Wednesday. Greece has been the target of scathing front page headlines in German media, accusing the southern nation of “busting” the euro, or “swindling” its 15 partner nations that use the euro. Merkel and her government have insisted that Greece needs to solve its own problems and refused to openly discuss the possibility of a bailout.